Here we are in mid-April and the first ever NBA Father/Son Two-on-Two tournament is in full swing. 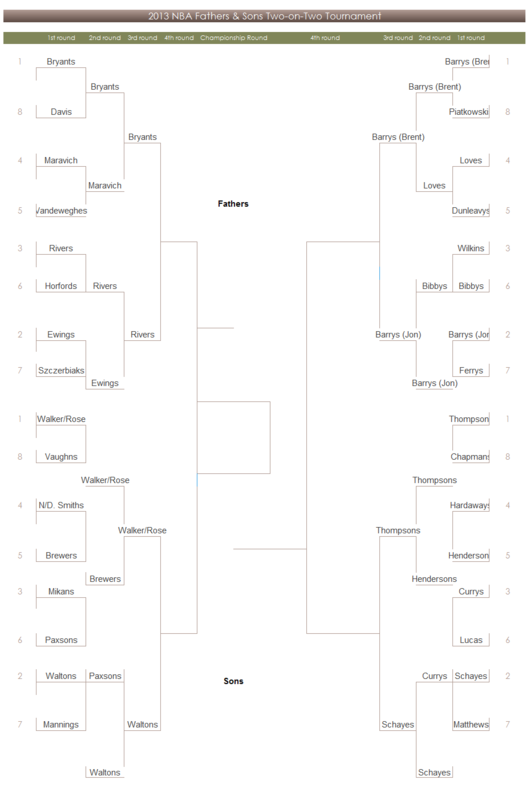 As we head into the second round of this once-in-a-lifetime imaginary five-round tournament, we’ve been privy to teasing, taunts, familial rivalry, allusions to cannabis consumption, controlling parents and meanderings deep into the digitized vaults of Youtube. 16 teams remain and by the time you get done reading this post we’ll have cut that list in half and arrived at the Great(est) Eight father/son combos as contrived by this batch of misfit writers. A couple of shot-taking, head-faking, basket-making sons steal the spotlight here. I remember being a kid and watching a biopic about a young Pete Maravich, The Pistol: The Birth of a Legend. My memories are of a sappy, Hollywood flick and a little white kid with a crew cut who would walk through the entire town spinning a ball on his finger. 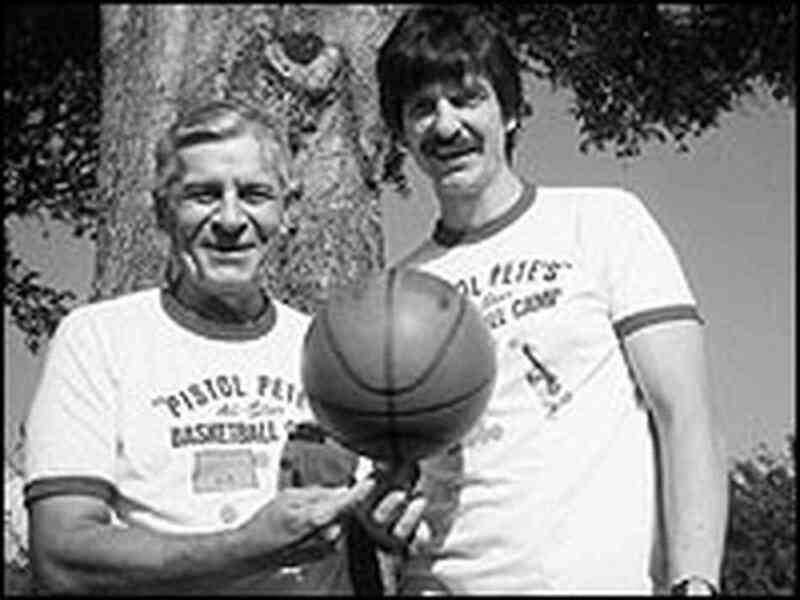 It doesn’t matter if this actually happened or not; the point was clear: the myth of Pistol Pete was greater than Maravich could ever actually be. And so it is in this father/son battle where Kobe finds himself being motivated by a combination of Jordanesque perceived slights and the surprisingly shrewd prods of his father who tells Kobe before the game, “I heard the Pistol saying you’re not even top-10 all-time….in Lakers history.” Kobe’s appalled, incensed, bites at his jersey, thrusts out his under bite, flares his nostrils while Jellybean grins to himself relishing the skills he picked up as a WNBA coach. Press Maravich is a non-factor and the Maravich family is destroyed by Kobe’s fury and the Bryant’s superior athleticism. The number one overall seed advances: 21-10. Going into the match, there was some uncertainty about whether the Barrys could hold seed and defeat the upstart Loves. Kevin was balling out of his mind, and despite Stan’s limited skills, mind and mustache game were both formidable. But it was all over from the very start. As Stan checked the ball in to Rick, he committed the cardinal sin: trash talking an insecure San Francisco resident. “Yeah, you may have averaged 25 points per game for your career, but you didn’t even crack single digits in the sack for your career total!” Stan’s taunts rang through the gym, reverberating through tense silence. “Know why you didn’t get laid, Rick?” Stan asked. Rick stared back at him, hard. “It’s because you were bald around both your heads! Ya dig? !” Stan shouted gleefully, spun around disco-style, stroked his awesome mustache and got into a defensive stance. That was that. Rick calmly lined up a three, drained it, and stared back at Stan. “Three-nothing, you nobody,” Rick hissed. It was on. A man possessed, Rick had a game for the ages: 19 points, 17 rebounds, and one begrudging assist to a frazzled Brent on their way to 21-15 victory in a game that was never close. Never trash talk a Top-50 All-Time player, especially about their follicle regions. Though Rick would never tell you himself, he greatly preferred playing with Jon over Brent. There was a reason Jon worked for ESPN: he was a shill. He’d do whatever his superior said, no questions asked. Always hard working, and simple in a sort of lovable way. Though Jon can shoot, he knows his dad can shoot better. And his dad, still feeling sort of miffed about the shenanigans of Stan Love, is all too happy to keep shooting. This time the shots don’t fall as freely — Barry yells “Goddamned shame!” each time his shot clanks off the rim — and the Bibbys are able to use their speed to penetrate and get buckets. It’s a close one, but in the end, Jon gets enough second chances under the rim over the smaller Mike Bibby to snag the win, 21-18. Rick finishes with 17 points in this one, but an even tougher choice: which son will he choose in the finals? After breezing by the David Vaughns in the first round, the Walker/Rose duo faces a much stiffer competition in the second round against the Brewers. The Brewers come in with confidence oozing from their pores after a mild upset of the Smiths in their first round. There’s no advantage physically as the dads and sons measure up equally from a size and athleticism standpoint. The clear advantage lies in the offensive firepower of Rose/Walker. The Brewers, known as role players/defensive stoppers, just can’t keep up offensively enough to pull off another upset. Ronnie does a good job keeping Jalen in check, but once Jimmy Walker starts putting on his moves the Detroit duo pulls away for a 21-15 win. No one expected the Paxsons to be here after facing off against the Mikans in the first round, but like the great sport of boxing, matchups make fights. The Paxsons find themselves in a similar matchup against the Waltons. They’re at a huge disadvantage in the size department going against one of the NBA’s all-time great big men in Bill Walton, so they will once again rely on outside shooting to attempt pulling off another upset. Unlike the slow, prodding Mikans, the Waltons can move on defense and bring much more offensive diversity. Any true hoops fan that has read The Breaks of the Game, knows that Walton in his prime (on the rare occasion he wasn’t injured) could carry a team and do it all. 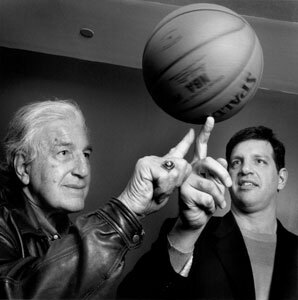 The Paxons were able to hit a few threes to keep it close early, but Jim Paxson Sr. (only played two years in the NBA before going into the insurance business) trying to guard Bill Walton was almost as silly as Mark Cuban drafting Brittney Griner to play in the NBA. The Waltons basketball IQ and overall skill level was too much for the overmatched Paxsons. Waltons keep truckin’ to victory with a 21-13 win. This second round matchup featured the top seed in the quadrant, the Thompsons, squaring off against the 5th seeded Hendersons. The Thompsons feature the truest inside-outside threat in the field and set out to utilize Mychal’s size to their advantage. With an array of pick and rolls and slips, the Thompsons looked like a machine oiled up for a long run. Klay’s 3 point shot at 6’7” with Mychal’s length and strength allowed them to cruise to an easy 21-12 win. As one might expect, the Hendersons competed on both sides of the ball but were simply outgunned. This was a bad matchup for 6’2” and 6’5” Gerald and Gerald and the upset just wasn’t meant to be. This wasn’t the first matchup of contrasting styles in the father/son field and it probably won’t be the last. The Currys are always confident in their shooting and for good reason. Coming off a 7-10 3-pt performance in round one it was clear going into the game that the three-ball would be the Currys’ biggest advantage. Predictably (though not in a bad way), the Schayes focused on playing the game as close to the basket as possible. On each of their offensive possessions, Dolph checked the ball and backed his Curry into the paint (Mark Jackson style) before deciding upon shot or pass. It was one of the oddest two man games you’ll see, but it was effective. As noted earlier, the Currys intended to replicate their round 1 game plan by focusing on their three-point shot, pulling the defenders away from the paint and spacing out to allow room for each other to drive. Unfortunately, when teams live by the three, they die by the three. And tonight, the Currys father/son title hopes died on a 4-14 3-point shooting performance. After the game, Danny Schayes said, “We knew they’d be willing to trade 2s for 3s, so we had to make sure we finished in the paint and contested their shots. Luckily from us they weren’t as sharp as they were in round one … this could have easily been a different game.” Final score 21-14, Schayes advance to the Great(est) Eight. · Can the tenuous relationships of the Bryants hold? · Will the Walker/Rose combo confront issues of abandonment? · Will Jerry Garcia magically leap forth from the afterlife to support the Walton boys? · Is Mychal Thompson capable of allowing his son the freedom necessary to develop into his own man? These questions and more will be answered next week when we play out the semi-finals of the greatest of Two-on-Two tournament this side of White Men Can’t Jump.